A must-have for the serious rock crawler or racer! These aluminum axle tubes will handle the abuse modern brushless systems can put on your driveline. 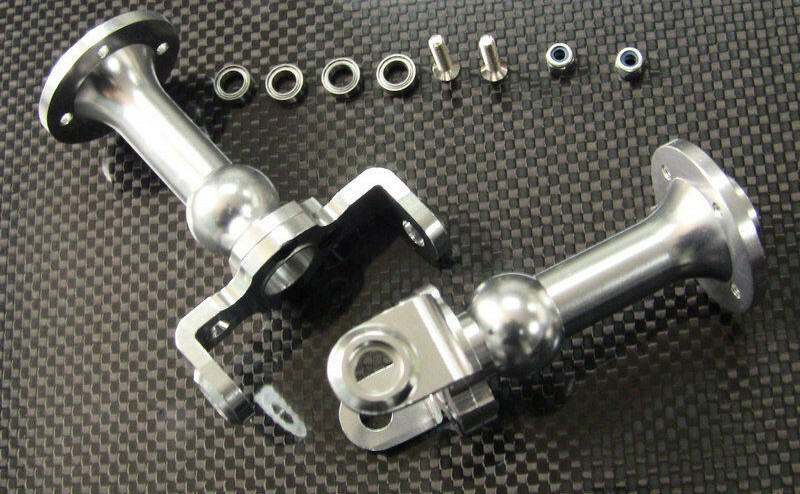 CNC machined from 6061 aluminum, this kit includes two aluminum axle tubes and kingpin screw bearings for either the front and rear axle on your Clod. Stock or aftermarket steering knuckles will fit these tubes. Note: If you want to convert the front and rear axles, you will need to purchase two sets of these. This product was added to our catalog on 08/14/2016.